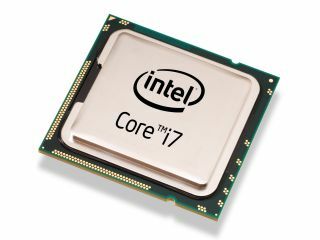 Intel has officially announced that it will provide a successor to the discontinued Core i7 920, with the Core i7 930 boasting a speed of 2.88GHz. It's the latest in a whole line of updates, with the Core range being given an overhaul, but the 930 has a significant speed boost from its 2.66GHz predecessor. It's likely to be a quad-core eight-thread chip designed for socket LGA 1366, which confounds suggestions that the Core i7 860s and Core i7 870s processors for the LGA 1156 socket boards would be the only mainstream models to survive through 2010. The chip is scheduled to arrive in the first quarter of 2010, and the pricing is likely to keep socket 1366 boards as an attractive option, despite the impending arrival of the 1156's. No details have yet surfaced as to whether the 930 will use the 32nm process.